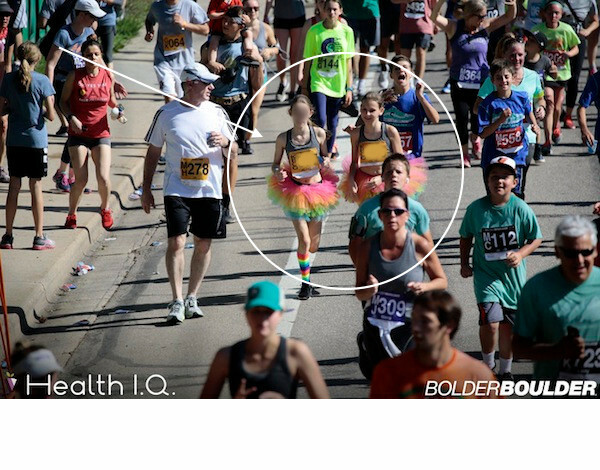 Every year on Memorial Day, the city of Boulder, Colorado hosts a huge 10k called the Bolder Boulder. 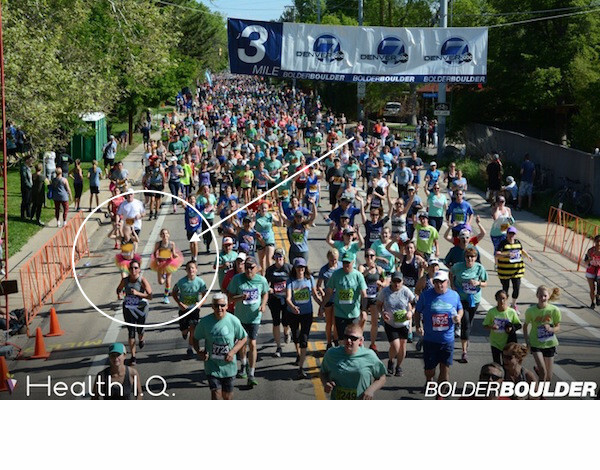 It is the biggest race of the year, and one of the biggest 10k’s in the country! The race is more like a huge party with local live bands playing every half-mile. There are also tons of activities set up throughout the race including trampolines, swimming pools, slip-n-slides, cotton candy makers, free beer (for adults! ), free chip stations, free bacon stations, tons of water stations, free sunscreen stations, etc. It’s more like a walking/running 10k party and less of an actual race. Each year people dress up in wild costumes as they party down 10 kilometers of non-stop fun. This year my daughter and her friend wanted to dress up in matching costumes. They settled on sports bras (from Target) and these adorable RAINBOW tutus and matching rainbow knee-high socks. Maybe I’m biased but I think they were the cutest costumes of the day! Here are my daughter and her friend taking off at the Start of the race. 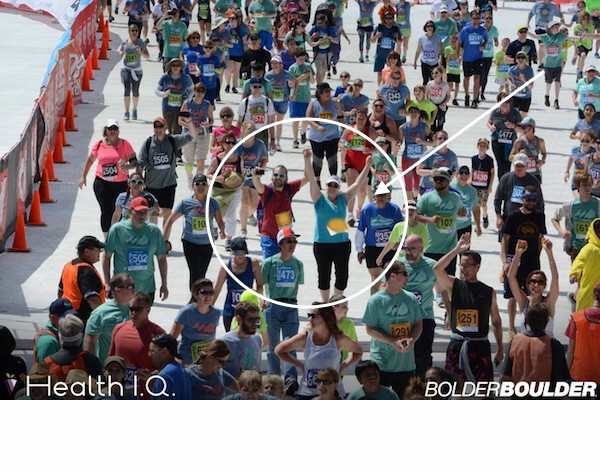 This is our second year to run the Bolder Boulder. 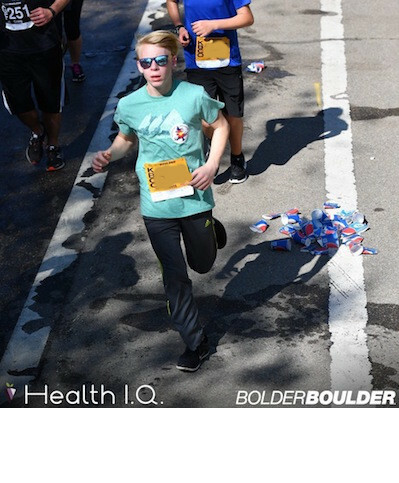 Last year was our first time running, and also our first Memorial Day living in Colorado! 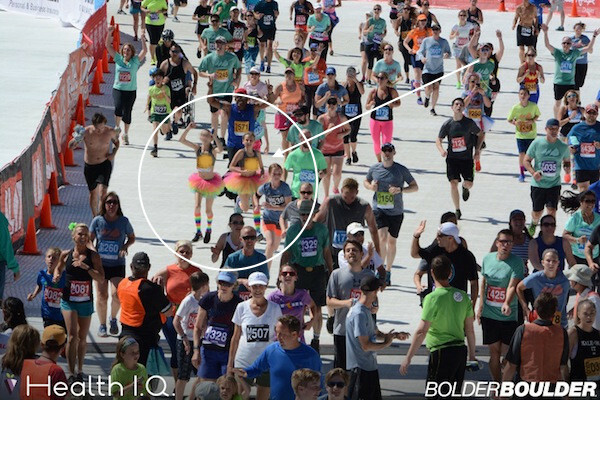 We are two-for-two now on running the Bolder Boulder. 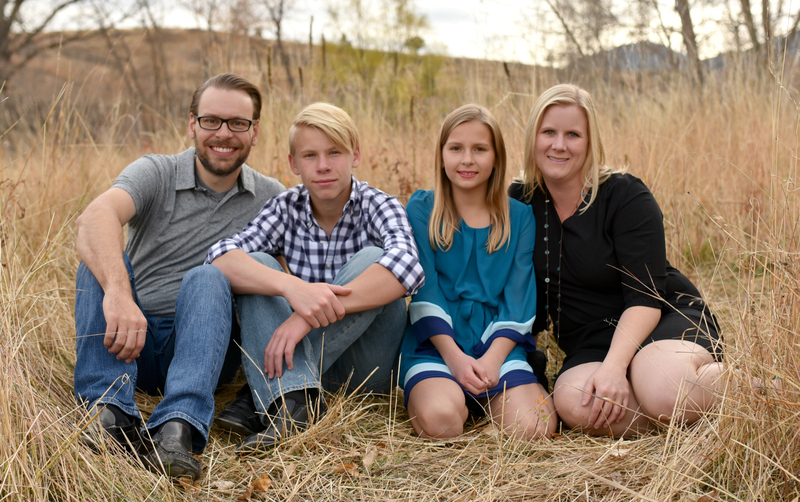 Our goal is to run it each year as long as we are in town on Memorial Day. Here are the girls crossing the finish line! These tutus are super versatile. 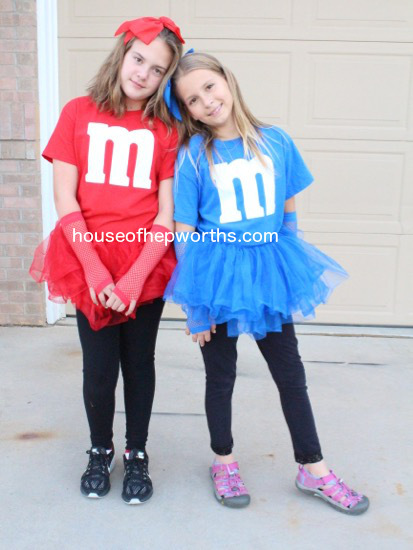 See how I turned them into M&M costumes!